Lindsay Morle from Scuderia Ecosse was at the Wednesday event at Silverstone – but the brand new, British GT-bound (and FIA GT) Scuderia Ecosse Ferrari F430 GTC wasn’t – quite. Stephane Ratel reckoned that “the Panoz will be very competitive (in GT2) this year” – while the Eclipse Mosler was fastest in testing on Wednesday afternoon. The Scuderia Ecosse rivals may be few in number, but they’ll all be competitive. 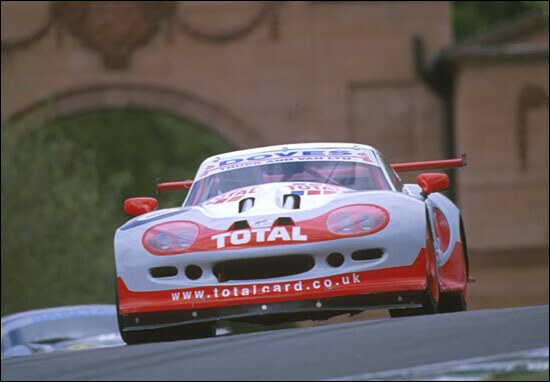 News from the other GT2 teams present yesterday asap. Meanwhile David Dove and Andrew Howard were also present at Silverstone – but their GTC Class Ferraris weren’t either. 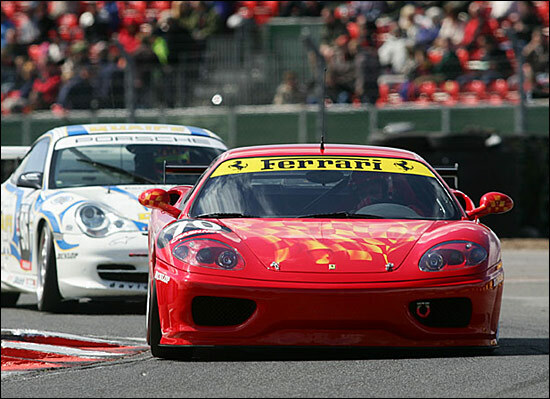 David Dove will be sharing his Ferrari 360 with Calum Lockie – for a full season of British GTs. Dove blames Lockie for getting him into GTs. Here’s the David Dove 360 in its only British GT event last year, at Croft. It is a beautifully presented car. Andrew Howard is, as already posted, behind the Beechdean-backed Ferrari 360 for Nigel Greensall and Jono Coleman. All three of them were at Silverstone yesterday – and the car will make its test debut at Donington Park on the last day of this month. A fourth car not at Silverstone was the Alastair Davidson / Chris Wilson Bigfish BMW Z3M. The two hour races this year are at Donington in May and Silverstone in September.